When you really want to load up your batteries : This is the place to be. Cycling, walking in full nature : it is all possible. Even more if you are interested in Culture : Beautiful local little cities aren only 20 km from our house : Turnhout, Hoogstraten, Lier, Herentals. There are two rooms, beautiful decorated with antiques objects. They are part of the house. WIFi is possible. The price : 70 Euro for one night for two persons for one room. Breakfast is included in this price. Fresh breakfast with home made jam, eggs from our chicken is inclued in the price. Yes there is a shelter and loading point for Elec Bikes. No experiences yet with Aux Charmes du Passé. Be the first! 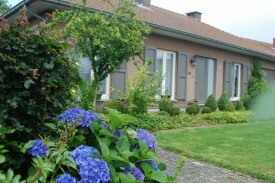 Did you stay in Aux Charmes du Passé? Let us know what you thought about it and help others to make the right choice! * I confirm having stayed in Aux Charmes du Passé. 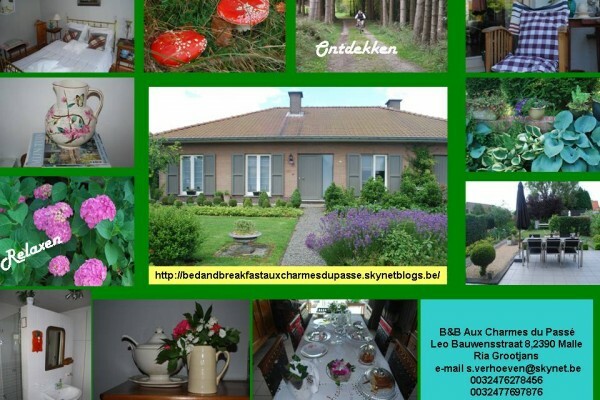 Find other bed & breakfasts in Oostmalle, all bed & breakfasts in Antwerp Campine or all bed & breakfasts in Antwerp.